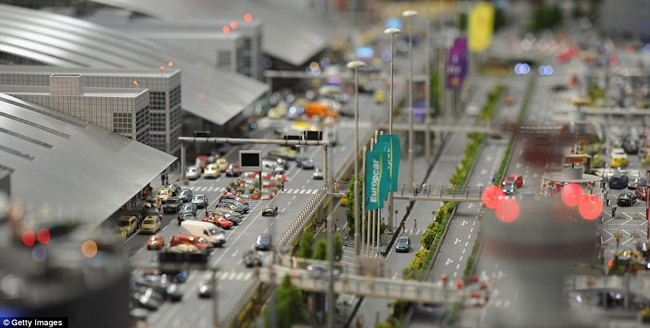 If you have ever marveled at a model railroad or other miniature creation, this video will leave you awestruck! Be sure to check out the photos below to see the scale of the display. If you can't view the video here, click here to view it on the model creator's YouTube.com page. 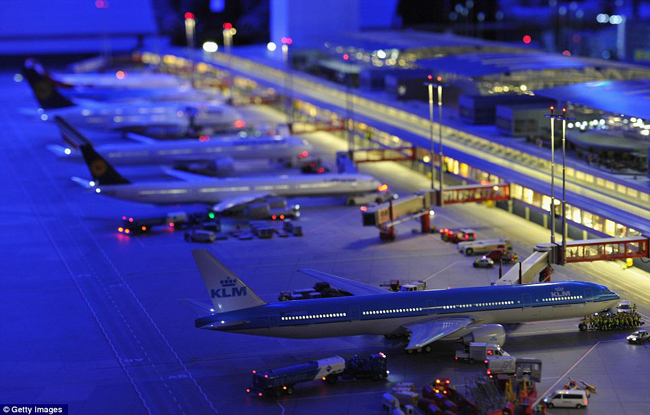 The name: Knuffingen Airport, and it is based on the Hamburg Airport in Germany, and yes, this is a model miniature that is on display in Hamburg, Germany. It didn’t come cheap either. Construction cost 3.5 million euros – that's more than $4.4 million – and it took 6 years to build! 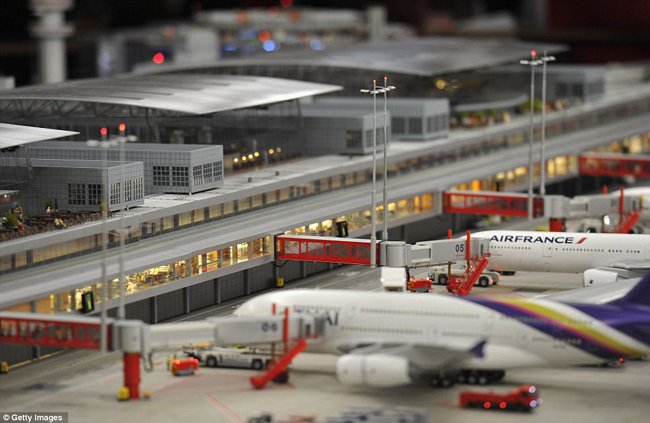 Knuffingen Airport is on display at Miniatur Wunderland, in Hamburg, Germany. While it’s impressive to see the detail, the real surprise is to see 40 aircraft and 90 vehicles move about this miniature, computer-controlled masterpiece!